A version of Encyclops. was handwritten on 142 paper bags with photographs and drawings. This work was exhibited at news of the world gallery, Deptford, London, November-December 2013. In this print version published by if p then q writing (encyclopedic bugs) is presented alphabetically. There is a sense of the style of Gertrude Stein of Tender Buttons & eroticism, perhaps a theme yet also a method used to intuit. Images and ideas are immediately in view then drift out again, just as fast, leaving the reader to return to the poem without knowing whether the experience is being repeated. It’s good good stuff. 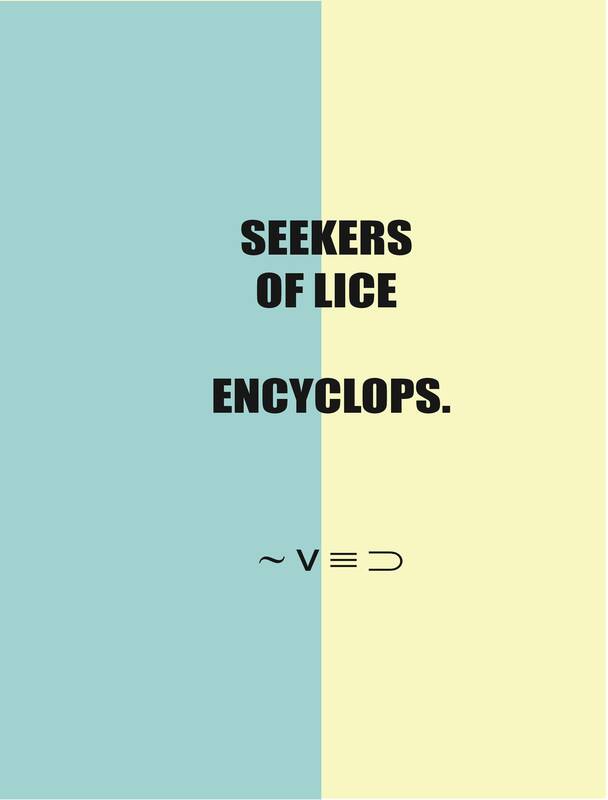 seekers of lice is an artist and writer. Recent works include THEATRE OF OBJECTS 2012 (VerySmallKitchen) and Limber 2013 (The Knives, Forks and Spoons Press).